Faith is the first principle of the gospel of Jesus Christ. So what happens when a person has doubts? This insightful book offers a careful, intelligent look at doubt—at some of its common sources, the challenges it presents, and the opportunities it may open up in a person’s quest for faith. Whether you struggle with your own doubts or mostly want to understand loved ones who question, you will appreciate this candid discussion. You’ll come away feeling more certain than ever of the Lord’s love for all of His children. This book should be a Sunday School class! I feel, were it possible, that this book should be required reading for all LDS folks, though anyone in any other faith, or simply on a journey of faith, would likely learn much from Givens' insights. For those who have read or are interested in reading Michael Ash's "Shaken Faith Syndrome," "The Crucible of Doubt" puts forth a much more powerful argument in favor of a general faith, whereas Ash does an admirable job as an LDS apologist on specific topics. Nevertheless, I greatly prefer Givens' tone, and the beauty of his prose rivals that of C.S. Lewis, whose writings I admire. A fellow reviewer suggested The Crucible of Doubt should be a Sunday School class in and of itself. I fully agree, but the likelihood is extremely slim, unfortunately. However, in recent months I have come to understand that at church, with such a broad landscape of believers in attendance, it is too difficult to dive into deep, philosophical discussions of scripture and gospel topics with the short time we have together each week. Alas, for some it may always feel that we are only being given 'milk' to sustain us when what we seek is 'meat.' Givens, in multiple instances, chides the faithful seeking spiritual meat to go find it! We are not forbidden or locked into studying only a short list of "approved" texts on Sundays or all of the other days of the week, we have a plethora of world literature at our finger tips from which to draw! After all, have we not be instructed to read from the "best books?" We can seek after learning and growth on our own time, but the time we spend at church is for worship, not scholarship (I found Givens' definition of 'worship' very enlightening). "...The call to faith is a summons to engage the heart, to attune it to resonate in sympathy with principles and values and ideals that we devoutly hope are true, and that we have reasonable but not certain grounds for believing to be true. And that what we choose to embrace, to be responsive to, is the purest reflection of what we love." 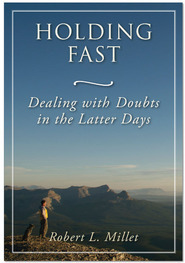 The authors provide some good advice for those who encounter doubts or questions about the Gospel. A must-read for those who are struggling with something or merely are curious about some aspect of doctrines or history that have not been fully explained or revealed yet. This would also be a great book to read if one needs to give advice or counsel others in these areas. I really enjoyed it! helped a lot - saved my faith! Explained clearly what I already thought and felt. Necessary for the transition from "simple" to "grown up" faith - at least for me. Thanks to F. & T. Givens! There are times in our lives that we doubt everything. My cousin even wrote me once about doubting her favorite color. It's not a surprise that we will doubt the most important part of our lives--our faith. 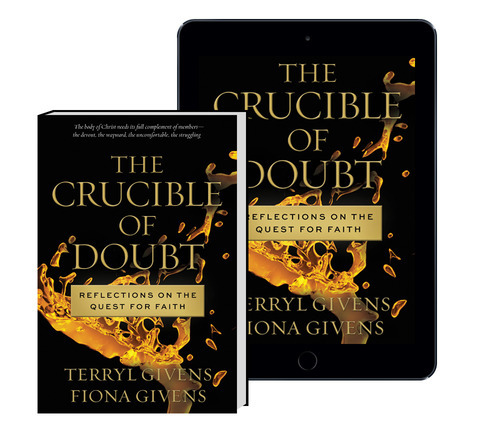 In this book Fiona and Terry L Givens share such a great testimony how to overcome doubts--not just overcome them--but to realize that they're normal, and shouldn't destroy our faith. What a great book! Please do yourself a favor, read this. It will change your life! Great book by the Givens. Makes you think about understanding the balance in religious thought and understanding things in the proper context. This book is going to everyone I love this year for Christmas. I could not recommend this book highly enough. I highlighted half of it. And my husband highlighted the other half! This book is ONE OF THE BEST! the devout, the wayward, the uncomfortable, the struggling." Do you feel as if you fit into one of those descriptions? But as the jacket says "Questioning is not the problem, after all, the restoration unfolded because a young man asked questions." Difficulties within the body of the Saints "arise when questions are based on flawed assumptions or incorrect perceptions." "The Atonement is not a backup plan in case we happen to fall short in the process; it is the ordained means whereby we gradually become complete and whole." "We know more than we think, even if we know less than we would like." "We know that the main purpose of Sabbath observance is to partake of the Lord's Supper. But we sometimes grow frustrated with all the peripherals....What if we saw lessons and talks as connections to the sacrament rather than as unrelated secondary activities? "We love God by learning to love each other." "I am not asking you to pretend to faith you do not have. I am asking that you be true to the faith you do have.~ Elder Jeffrey Holland." "Instead of explaining our suffering, God shares it.~ Nicholas Wolterstorff"
Those who stand strong in the gospel and those who carry a vessel of doubts. So glad Deseret Book is carrying this book! The Givens and a few other authors have really helped me maintain my footing in the church as I've worked through questions that have been really isolating for me. Sometimes it feels like my lense is so different than the people I share a pew with every Sunday, but Terryl and Fiona get and address many of the questions that weigh heavy on my heart. A thousand times thank you! I am not alone. I highlighted half the book, (whoops,) but the really nugget chapters for me were the last two. Thank you for carrying this book Deseret Book! It means something to me that you are embracing these beautiful authors that have so much light to bring to Mormonism. I mostly read rather than write reviews but this is one book I felt compelled to address. I study/read/listen to anything I can find from the Givens. I anticipated this release and was grateful at the way this subject was covered. In much the way I see their approach life--straight forward, unapologetically, scholarly and with great insight. I bought both the eBook and the audio book at the same time with the hopes that it would not disappoint. I hoped to read and reread the book but wanted to listen to the the book while driving. Fiona narrates the book in her calm, dignified and mesmerizing english accent. I didn't want this to end because of both the content and style. But unfortunately I was through it in a day and a half. I now have many other works of literature to study. 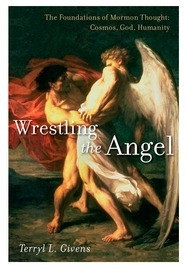 They reference so many great authors and works that i am intrigued to go back and study those works as well. The ever faithful member, as well as those who may be investigating or disaffected by the teachings of Jesus Christ, will reflect a new their belief in and relationship to the divine. A MUST READ. The Givens are a sublime, poetic and intelligent breath of fresh air... a welcomed and much needed voice in our LDS faith tradition. Written for everyone, the most faithful of believers, as well as the doubter... I repeat, A MUST READ. Terryl and Fiona, have once again, masterfully and with a knack of, weaving into their writing, divine sources from across the ages. They take from the reservoirs of great thought; inspired composers, writers and artists, sublime poetry, and powerful insights from philosophers of deep thought; to expand our minds and hearts beyond the "canned" responses of the past. Their words seem to say, of course you can rebuild some foundations. Our paradigms might need shifting and thus enabling us, to understand better, how the heart, mind and will of God settles like dew on humanity. It seems as though, theres a rhetorical question throughout the pages... How is an all encompassing perfect communication, from Deity, going to be received, translated and understood? But before we answer, we must realize that this communication is perfect and complete from the source but FOREIGN to humanity. When it leaves the heavenly courts, it is interrupted and becomes corrupt by the weak, simplistic mind, trying so desperately, to interpret what has been received. Only to compound further, the message has to be communicated to the world, through a broken language. Yikes. They help us see and trust, that our "Weeping God," in-spite of our human condition, will organize the chaotic and create order. That is God. Written, stylistically, as their recent, "The God Who Weeps*," like poetry. *One of the greatest books published by DB, describing God, through the lens of our Mormon faith tradition... I HIGHLY RECOMMEND. I consider myself a devout, faithful member. I hope I am. But I often wonder about things and I always want to know more. This is the first book I have read by the Givens. I heard them on the radio discussing this book and I immediately had to read it. I have not been disappointed. I plan to re-read this book many times in the future. It's that good. This book discusses the gospel in a deep, intelligent way while still maintaining a faithful attitude. It reminds me of Hugh Nibley or C.S. Lewis in that respect. In my opinion, it is easy to intellectualize yourself out of the church, looking beyond the mark or getting hung up on secondary matters. This book avoids that. It's evidence that you can be both a disciple and an educated person. This book is not just for doubters. 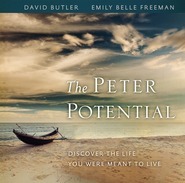 It is for any member who wants a thoughtful discussion that challenges the usual ways of thinking about discipleship. I assume doubters will also benefit. And, if we are honest about it, and as this book points out, I think we are all doubters to some extent. At least, most of us to not have that perfect knowledge yet. I think that's why faith is our first principle. Deseret Book, thank you for publishing this book. To be honest I usually think of your church books as rather fluffy. I decide instead to spend my gospel study time on the scriptures, institute manuals, or words of the prophets. However, if you are going to start publishing books like this I will have to revisit my prejudices. Poetic, faith-affirming, brutally honest, absolutely moving! Every line in this book is so poetic and moving it was hard not to highlight the entire text. The Given's approach is honest and concrete, nothing is cheesey or feels like a canned response. Even though I feel like I am a person with very little doubts this book has shored up my testimony in areas I didn't even realize were weak. I also love that they preach that doubts are not to be feared, but embraced and that when in approached in the appropriate manner are actually wonderful opportunities to strengthen your testimony... not tear it down. Rarely do I come across a book that I would buy multiple copies of, but this is one I want all my friends and family to read. Absolutely moving. There’s no other way to say it: The Crucible of Doubt is a modern Mormon masterpiece. On nearly every page I found insights that comforted my soul and strengthened my faith. More than this, the entire way of thinking about the gospel shared by the Givens’ is refreshing and liberating. It felt good to have them open a space for honest and heartfelt inquiries about parts of the gospel that are difficult to understand. I know I’m not the only one with close friends and family who’ve recently lost their testimonies. And I’ve had questions myself, too. So one of the most important parts of this book for me was they show how a testimony can actually become stronger and more meaningful by letting go of assumptions that we believe by tradition but don’t bear up under scrutiny, and by thinking deeply about tough issues from a real perspective of faith. You really need to read it yourself because no review can do it justice. The Crucible of Doubt is simply a wonderful book. It deserves to be part of every LDS library. This book is not exactly a sequel to The God Who Weeps, but it is in a very similar style. The Givens present powerful, thought-provoking arguments that do not clean up the complexities of our relationship with God, prophets, the scriptures and the Holy Spirit; but they illustrate the absolute necessity of a mature perspective about these things. The Givens' demonstrate that our crucibles of doubt are often created by our own immature or simplistic paradigms toward spirituality and religion. For what it's worth, I thought that this book was somewhat more accessible than their earlier effort and feel more comfortable recommending it to non-academically minded saints.